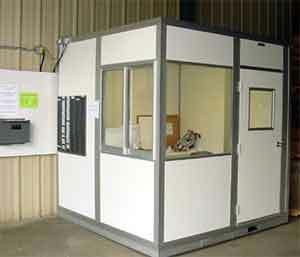 Portable Prefab Temporary Buildings Sales & Installation. One of the main goals of the modern business is to remain as flexible as possible. In the same way as the mammals were able to conquer the world after the death of the dinosaurs thanks to their high speed and intelligence, businesses have evolved to be smaller and smarter in the past few years, and any tool that can add to the advantage is important. Portable buildings allow your business to make even better use of existing space than ever before, and thanks to the fact that they can be easily moved from one place to another within your existing workspace, they will never get in the way of expansion and change. While a generation ago, planning for the long term could be detailed and exact, and most directors would know where they intended to be ten years ahead, the rapid changes of the modern market mean that such detailed strategic planning is no longer possible, and instead of knowing the exact structure of future expansion, it is much more important to build flexibility into the way that the future is planned for. One key area that modern businesses often overlook when laying out their strategy is the usage of space within their buildings. While it may be the case that some things never change - such as the fact that a certain number of staff will always be employed to do a specific task, changing needs elsewhere in the business may demand that a certain area needs to expand, or contract. By using temporary portable buildings within your factory or other industrial building, it is possible to relocate a division at the stroke of a pen, and thanks to the ease with which a modular portable building can be moved to a different place using a forklift truck, your plans can be achieved quickly and easily, without having to compromise on the quality of the installation, or the accommodation available to your highly valued staff. In the past, a big concern about using portable temporary buildings was that they might be made of low quality materials, and not offer a good long term solution for accommodating staff. This is certainly not the case any more. Modern buildings make use of high technology materials that are cut using computer precision in order to ensure the perfect fit is achieved every time. With high quality noise deadening layers built into the walls and floors, and proper glass windows, the effect is one of permanence, and the feeling of the finish is one of quality. Unlike the old insubstantial portable buildings that were no more than a lightweight structure that would not last long, modern versions are built to the highest standards, and can feature a wide range of different finishes to suit all business types. From small office spaces and lunch rooms to go inside your factory area through to rest rooms and storage areas with all the services including electricity and water ready to go, the modern range of top quality temporary portable buildings available from Easy Rack is certain not to disappoint you. 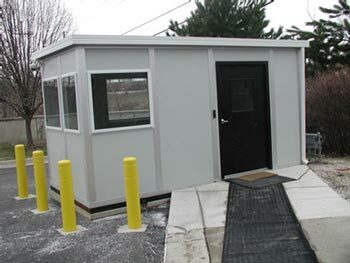 One of the main advantages of a portable modular building is that it can be put in place quickly and easily, and then used almost immediately for whatever purpose is intended. Portable Restrooms. One of the most important things that you need to consider when planning your business premises is the quality and number of restrooms that you offer for your staff. Portable toilets can be prefabricated offsite and then delivered ready to use. 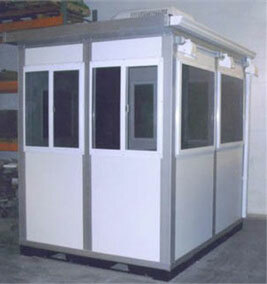 Portable Buildings. In the past, a big concern about using portable buildings was that they might be made of low quality materials, and not offer a good long term solution for accommodating staff. Modular Classrooms Installation & Sales Nationwide. A modular temporary classrooms provides you with space that is custom designed to provide the best possible learning environment, and can be furnished in order to sustain whatever subject or course is being taught.